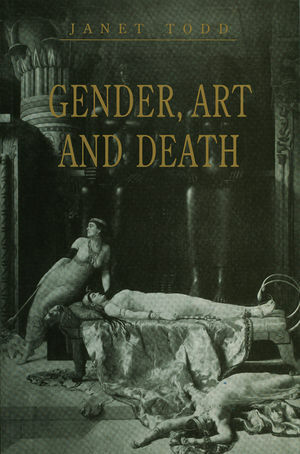 In this book, Janet Todd, one of the leading authorities on seventeenth- and eighteenth century women writers, discusses gender issues from the Restoration to Romanticism investigating women authors and the fascination with culturally privileged art and with heroic death. Janet Todd is the author of several previous books including Feminist Literary History (Polity, 1988). 1. Introduction: Memory and Women's Studies. 2. Aphra Behn: The 'Lewd Widow' and her 'Masculine Part'. 3. Spectacular Deaths: History and Story in Aphra Behn's Love-letters, Oroonoko and The Widow Ranter. 4. Pamela: or the Bliss of Servitude. 5. Marketing the Self: Mary Carleton, Miss F and Susannah Gunning. 6. A Martyr to her Exigencies: Mary Ann Radcliffe. 7. Mary Wollstonecraft and the Rights of Death. 8. Thoughts on the death of Fanny Wollstonecraft. 9. Jane Austen, Politics and Sensibility. 10. Who's Afraid of Jane Austen? * Janet Todd is one of the leading authorities on seventeenth- and eighteenth-century women writers. * The author discusses women and issues of gender from the Restoration to Romanticism. * She examines the complex connections between art and life as revealed by women authors. * The author's previous books have sold well.